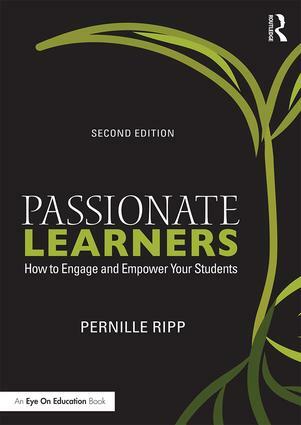 But to develop a meaningful reader identity, one that goes beyond the obvious questions of are you a reader or not, we have to have teaching opportunities where students can explore what their reading identity is to begin with and then chart a specific course to further explore it and grow. That means we spend an awful lot of time self-reflecting, discussing and also setting goals so that every child has a chance to answer thoughtfully, who are they as a reader. So that every child can leave our year together having a fuller sense of what it means for them to be a reader, particularly outside of school and our set reading environments. This discovery is what creates lifelong readers, but it won’t just happen for all if we don’t make it a point to actually bring it into our teaching. If we don’t actually plan for the development of all reading identities within our time together. So where do you start? Well, I start with a survey (it can be found here or here ) not just so I can get to know the kids but so that they can start getting to know themselves. Then we confer: what are their reading goals? No longer do I set the goals for kids, instead they reflect on the relationship and needs they have within reading and then set a goal. One that is meaningful and personal to their growth. Some need a lot of help uncovering what that is and others seem to know right away what they need to work on. We use the 7th-grade reading challenge to help them goal set as we discuss that for some quantity of reading is a great goal, while for others it is much more about habits and developing who they are. And then we start the work. The reading, the lessons, the experiences that create our reading community. Woven throughout all of that though is the need to go back and reflect on the goal they have set and to help them process their own growth. So every time I confer. So every time we reflect. So every chance we get, I ask, “What are you working on as a reader?” and let their answers guide our conversation. Those who set a goal just to set a goal are quickly helped to try to come up with a goal that is more meaningful to them. Those who set a goal that doesn’t make sense are quickly prompted to dig deeper. And those who set a goal that they have little way to reach on their own, well, that’s where our teaching comes in. 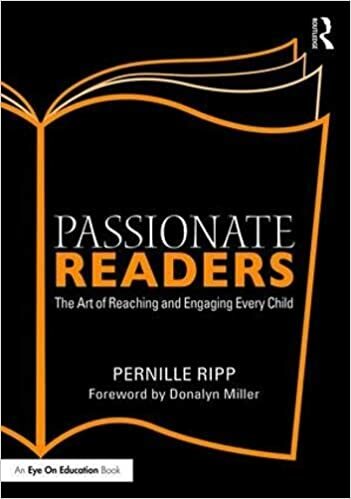 It is within the constant conversation always circling back to the question, “Who are you as a reader?” that our students can start to piece together their answer. That they can start to understand the identity that they carry as a reader. That answer goes beyond their book likes, their reading minutes, their skills. It speaks to how they handle books, now just how much they read, but when they read, how they select what to read, and what they do with it once they are done. How they view reading within the broader scope of their lives and who they will be as readers one they leave us. So whenever I am asked, why bother with student reading identity, I think of the students who started out simply telling me that reading was not for them but left us knowing so much more. That reading was for them if they found the right book, had the right place and took the time to read. That reading was for them because they had found meaningful moments within the pages of a book the previous years. That they perhaps would even consider reading outside of class now. This is where we see the change. This is where we do the work. PS: Yup, I am still stepping back and doing less. This post felt like I should write it so I did. Who knows when the next one will come. Could you make the survey available to people without Facebook? Thanks so much! Thank you for this great article. So often kids are not aware of what they are doing when they are reading let alone why they are reading. Making the reason for learning and focusing on building strategies help students take ownership of their learning!